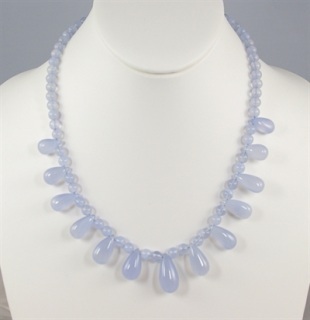 Graduated faceted Blue Chalcedony beads. Adjustable length with extender chain. 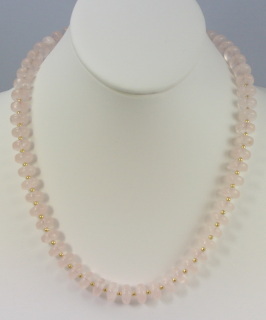 10mm rounds w/ gold vermeil beads 20" length. 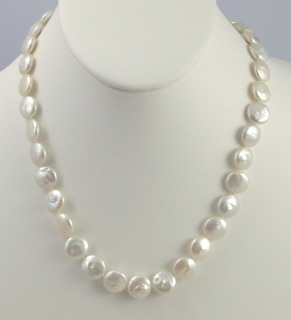 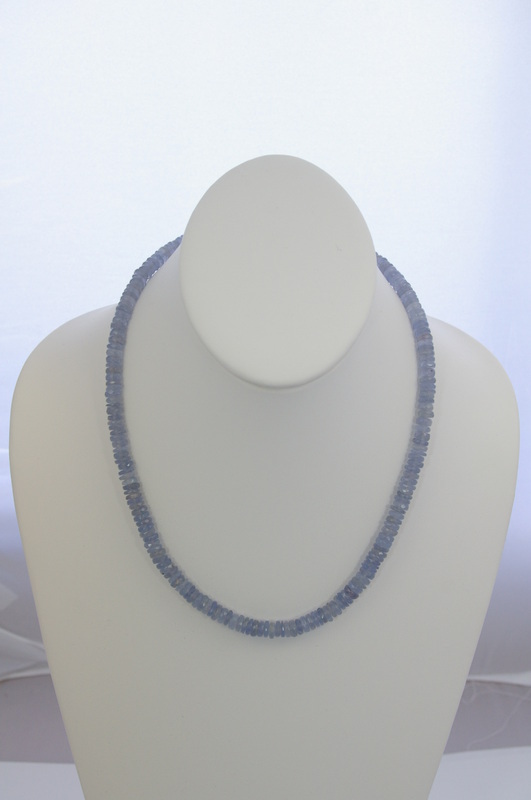 18.5" length with gold clasp. 6mm round beads with large teardrops. 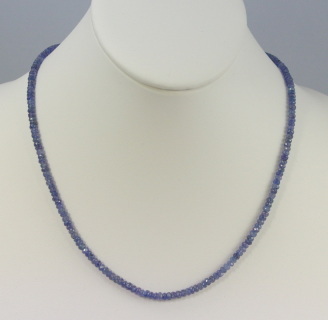 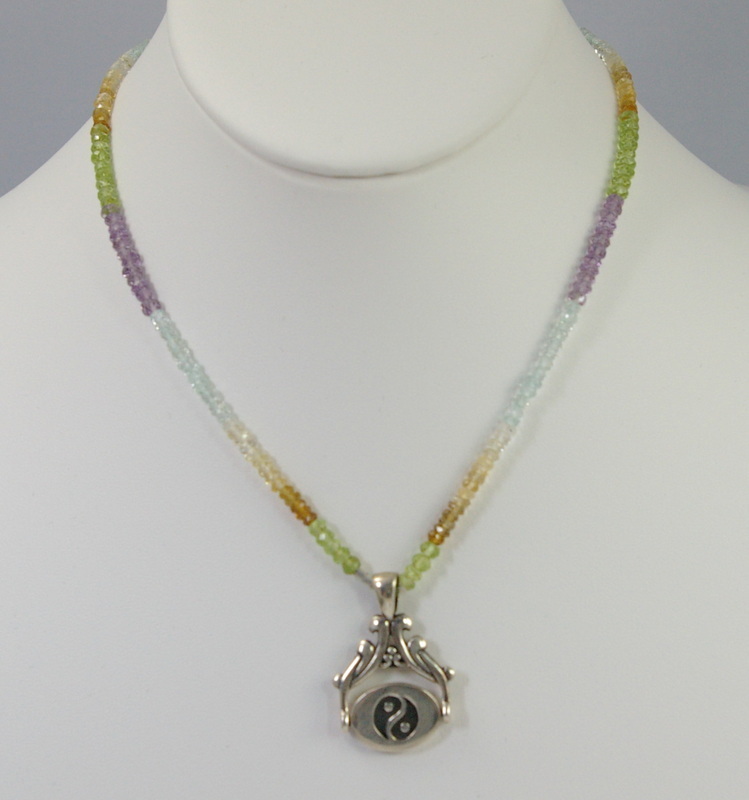 Spinel #N48003 4mm faceted 16" plus extender . 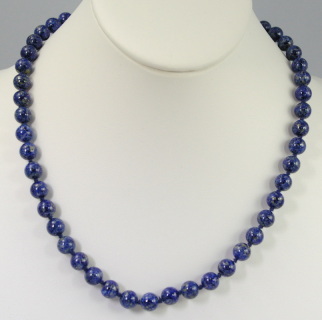 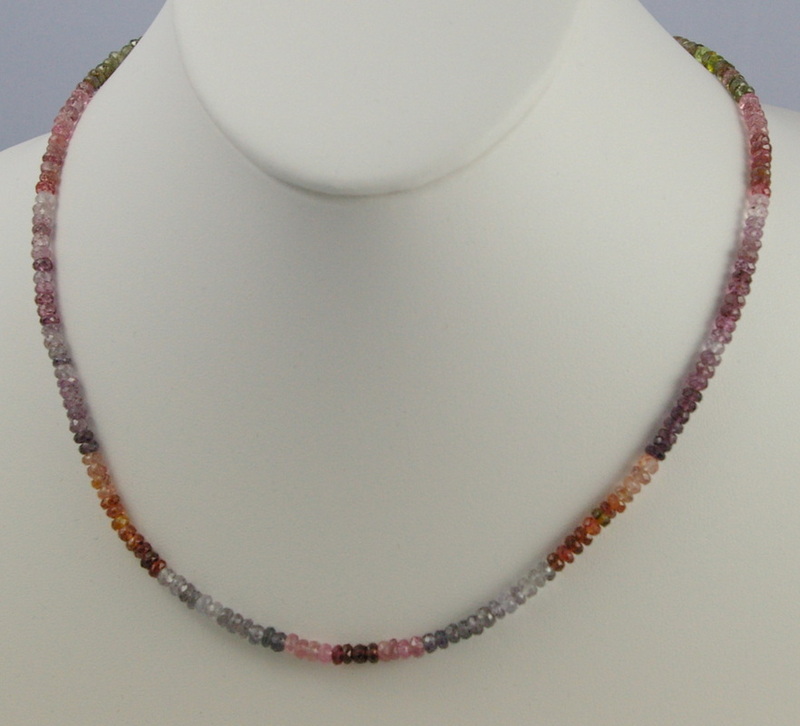 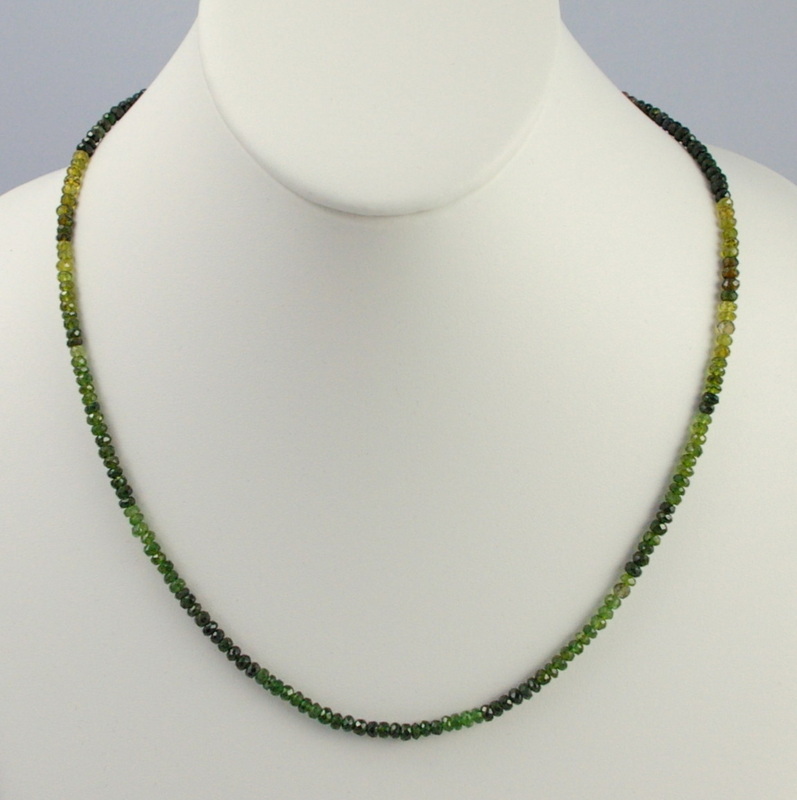 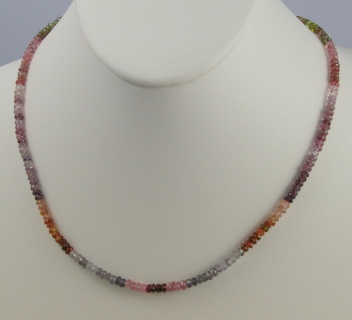 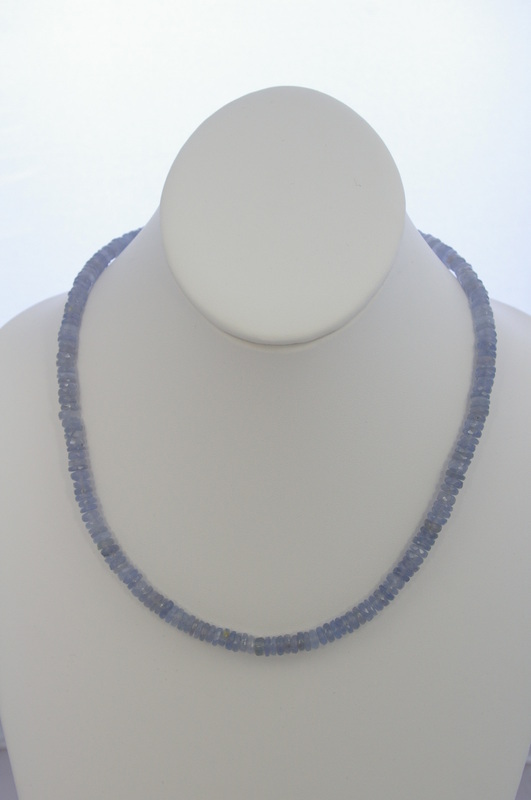 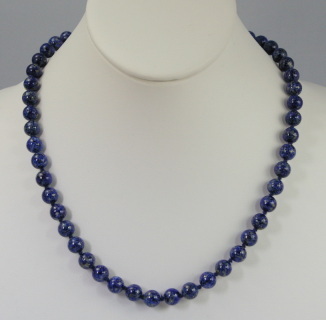 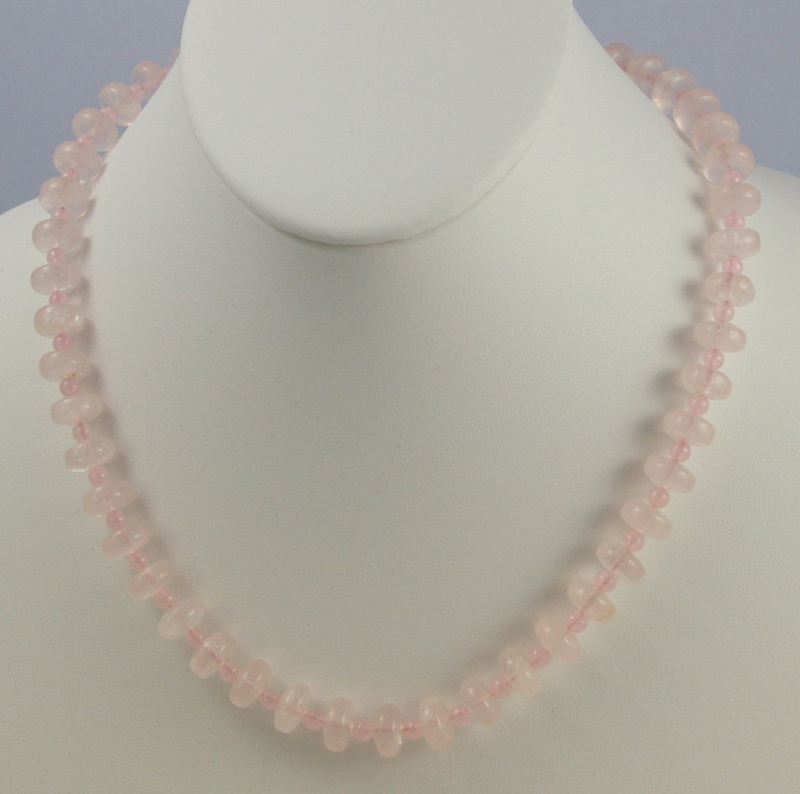 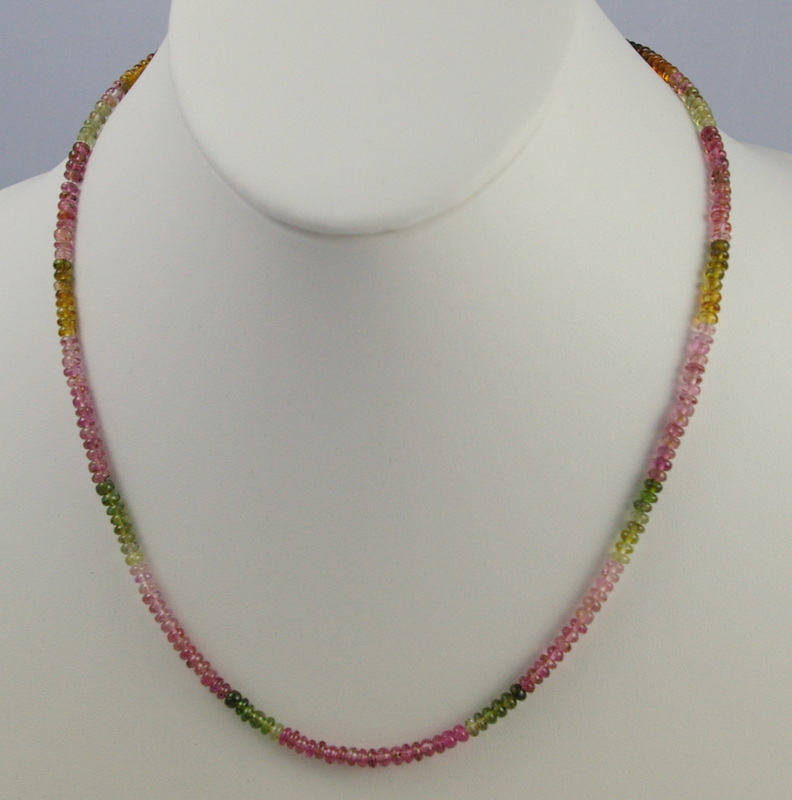 17.5 to 19" length Faceted, graduated beads. 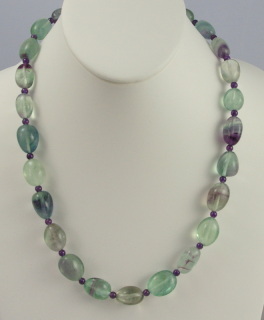 21" length 16mm x 13mm Florite oval beads with 4mm amethyst spacers. 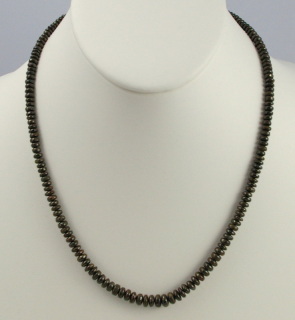 Sterling barrel clasp.